Fall is in the air! 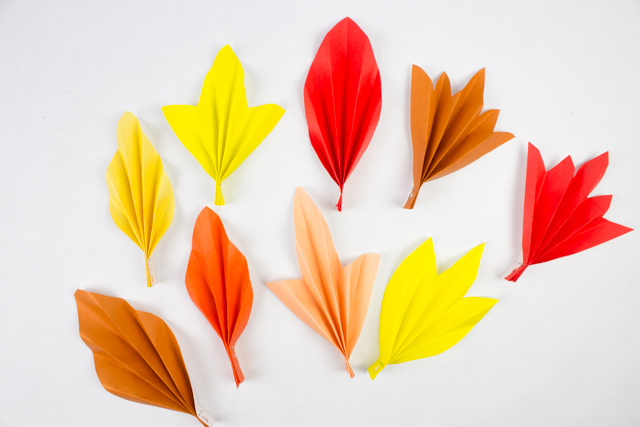 And if you're ready to decorate your home, here's an easy way to do it with the kids- make these lovely accordion folded paper leaves! 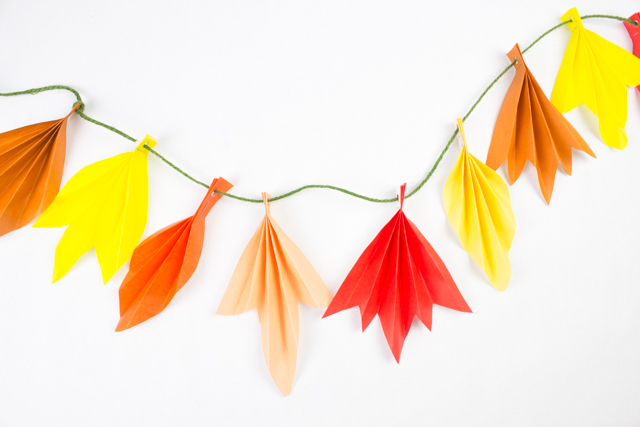 They're the perfect fall kiddo craft! To make these leaves, I simply used packs of origami paper, both other paper like construction paper would certain do too! Then, I followed the directions for these gorgeous painted accordion folded paper leaves. 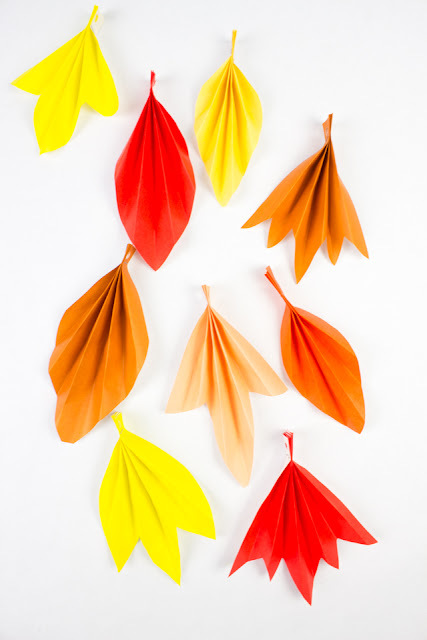 This is one of my most popular posts, but these leaves are much easier to make because you don't have to paint them.